It’s time to sit back, relax and enjoy some sun, sea and play slots online now. Sunny Money is everything you’d expect; buckets, spade ice creams. Get your shades on and claim your free spins when you play online slot games today! Annually featured in 888 Casinos huge slots casino Top 10 list of online slot developers comes Eyecon: a staple in the online gaming community. Known for its various titles, including firm favourites such as Fluffy Favourites, Irish Luck and Shaman’s Dreams. Always inventive and always on the lookout for the next big game, Eyecon: a developer you can always trust for the more memorable experiences. Summer is the warmest season, and with it comes a level of outside activity. But why go outside when you can get all of the benefits of the season from the comfort of your mobile or computer with Eyecon’s Sunny Money! For a clearer view of games, check the list of best video slots online. 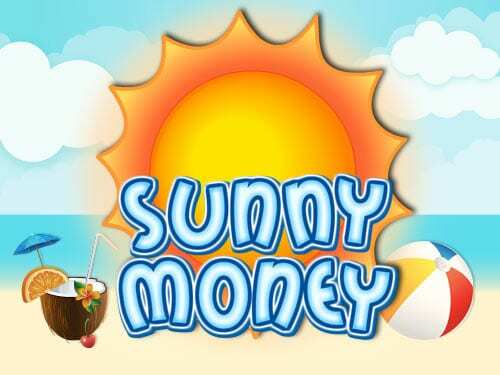 Sunny Money is your classic slot game that you know and love, consisting of 3 reels and 9 paylines. The name of the game gives away it’s theme straight away, yes this game is based on anything sunny and yes this game can be played any season you want. Perfect for anyone who maybe missed out on a potential holiday as this game will definitely give you those holiday vibes. Based on a seaside location, Sunny Money includes everything you’d need for an impromptu getaway, beach towels, coconuts and flip flops, ahhh bliss! Not only are those just a random collection of words associated with holidays, but are also just a few examples of the types of symbols you'll find in the game. Did you know that the sun is technically a star? Cool right? 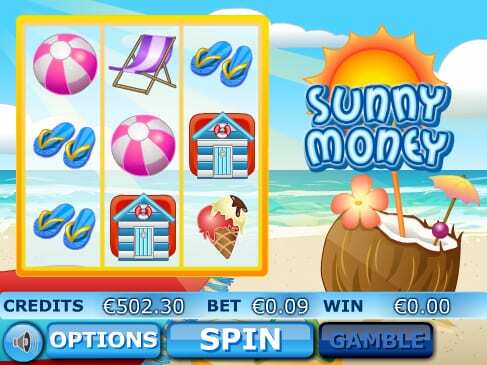 Did you also know that the coin values on Sunny Money Slots are £0.01, £0.02, £0.05, £0.08, £0.10, £0.15, £0.20, £0.30, £0.50, £0.75, £1, £2, £3 and £5. These values can be selected by dragging the bet slider in the directions up or down to increase or decrease the bet, simple. If you just want to lay in the sun for a while there is also an ‘Auto-play’ feature that gives you the ability to enjoy a nice break, maybe get an ice cream or two (we won’t judge) as your game plays automatically in the background. Up to 20 game rounds can be played via this feature, perfect for beach bums. Keep an eye out for the ‘Gamble Bonus’ round, this round can double your winnings should you get lucky. Each game will continue with the jackpot rolling into the following games. Cashing out immediately may not be a good idea if you want a bigger payout, the max payout for Sunny Money can go as high as £32,000, so good luck! Don’t let a possible sun glare distract you from the Sun Money icon! This symbol acts as the game's wild, hitting it replaces all symbols, all symbols except for the scattered Life Saver and Beach Hut symbols. The Sunny Money icon also comes with the highest payout, where a 3 of a kind winning combination will reward you with 1,000 coins! Another top-notch game to try is our DJ wild slot.